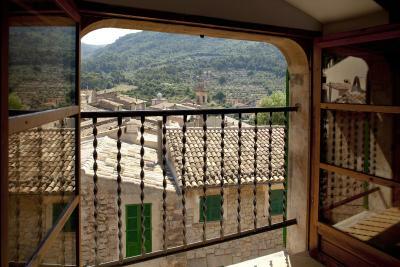 Lock in a great price for Es Petit Hotel de Valldemossa – rated 9.6 by recent guests! The whole staff was warm and welcoming, helpful with recommendations, and friendly. The breakfast was delicious and definitely worth including. The location was great and the views were spectacular. 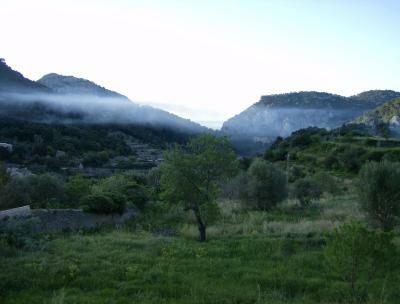 We paid a little bit more for the room with the view and loved waking up to the sun or fog peeking over the large hills. The room was exceedingly well laid out. It had outlets on both sides of the head of the bed, storage places for books, jewelry or clothing for the next day easily accessible from the bed, redundant light switches so you could turn on the main light when you came in or from the bed, and a bathroom that didn’t have wasted space. Everything. View from common terrace, location, breakfast and especially the owner. 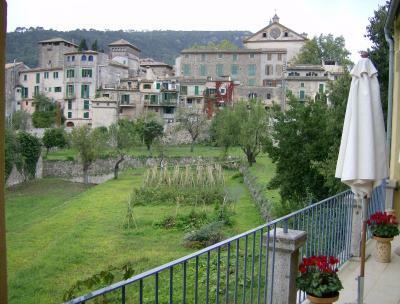 Fantastic boutique hotel in the heart of Valldemosa. The rooms are beautiful and the view is amazing. 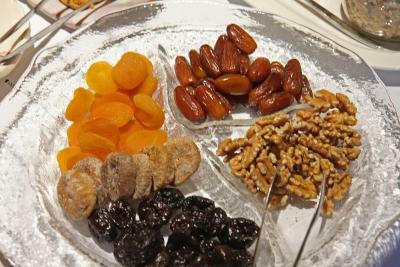 We enjoyed the excellent healthy breakfasts offering a wide choice of food.All the staff were friendly & helpful. The views from our room were wonderful whatever the weather. The hotel owners and staff were very friendly and helpful with recommendations for local restaurants.They accommodated our early flight by serving breakfast earlier than usual. Excellent small hotel, owners very friendly. Coffee and breakfast very good. Much better than some of the larger hotels we have stayed in. The hotel was very quirky and charming. Every consideration was accounted for such as books, games, and comfortable furnishings in the communal areas, including a lift. 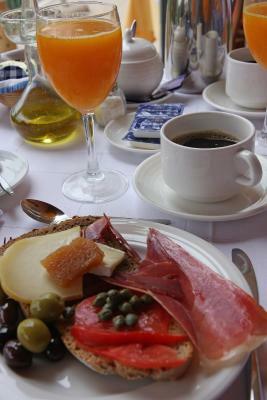 Breakfast was plentiful and high quality and could be eaten in the dining room or on the terrace with stunning views of the mountains. 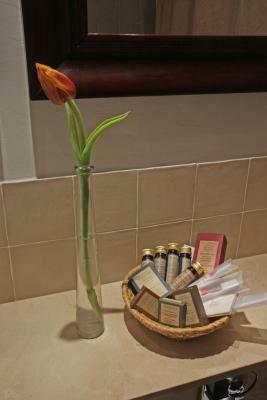 Nothing was too much trouble to ensure we had a wonderful stay. Highly recommend. 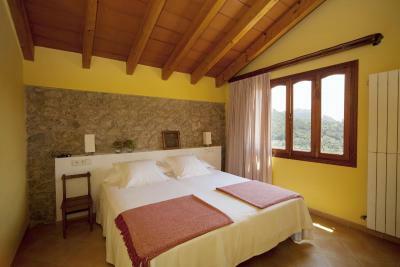 The family-run Petit Hotel is set in a traditional stone house in Valldemossa and features a large sun terrace. 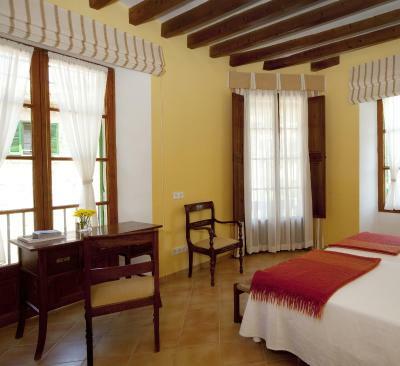 It offers colorful rooms with wooden furnishings and satellite TV. 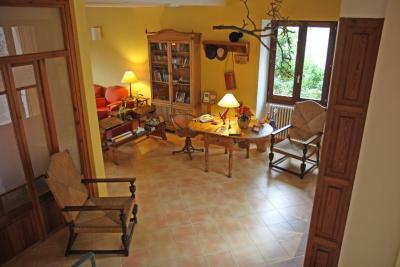 The guesthouse is tastefully decorated and includes a cozy lounge with a fireplace. There is a grounds area with a patio and many plants. 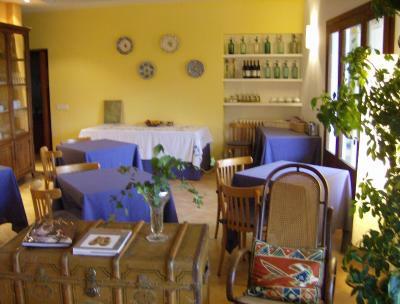 A buffet breakfast is served at Es Petit Hotel de Valldemossa. 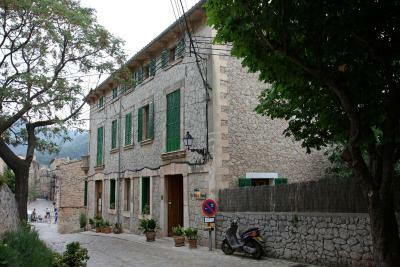 Es Petit Hotel de Valldemossa also offers a bar. 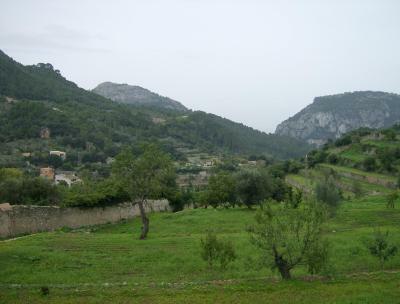 San Termens Golf Course is 4 miles from Petit Hotel de Valldemossa and Palma de Mallorca is 15 minutes away by car. 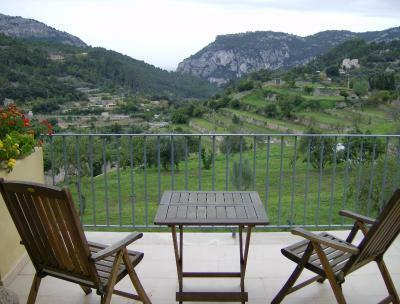 This property also has one of the top-rated locations in Valldemossa! Guests are happier about it compared to other properties in the area. 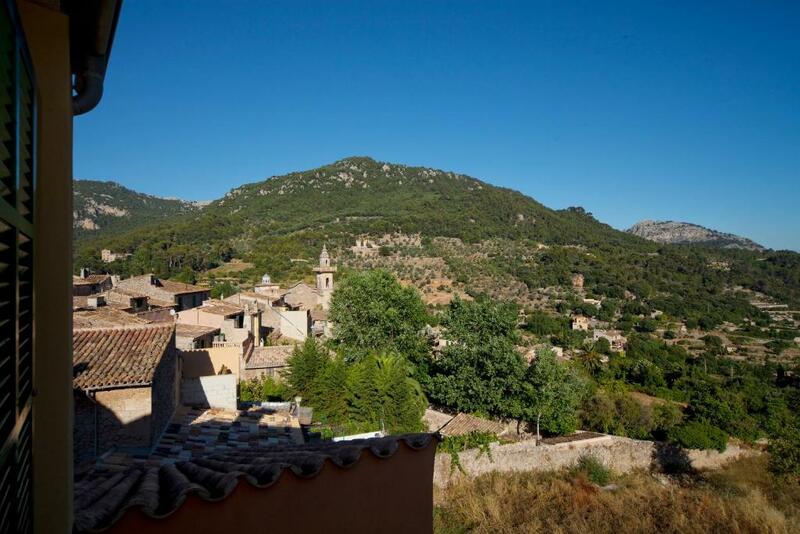 This property is also rated for the best value in Valldemossa! Guests are getting more for their money when compared to other properties in this city. 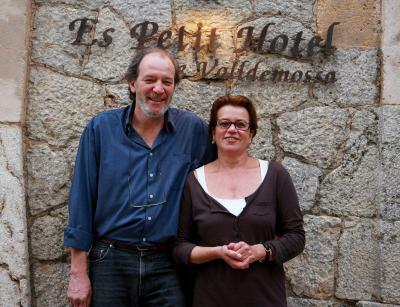 When would you like to stay at Es Petit Hotel de Valldemossa? 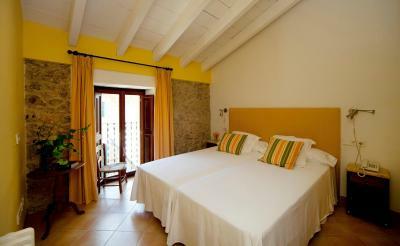 This smaller air-conditioned room features 1 double or 2 single beds and a private bathroom with a bathtub and shower. 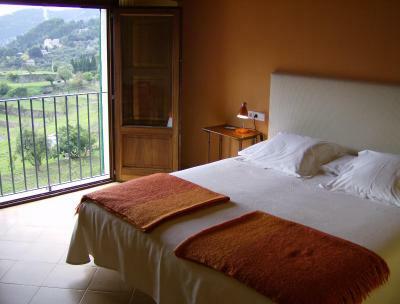 This larger, air-conditioned room features 1 double or 2 single beds, and has a terrace with views over the valley. The private bathroom has a combination bath/shower. 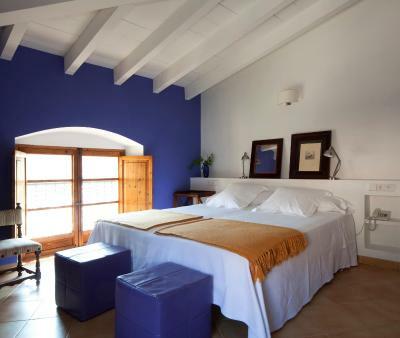 This larger, air-conditioned room features 1 double or 2 single beds and a private bathroom with a combination bath/shower. 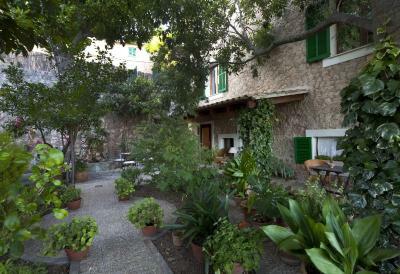 House Rules Es Petit Hotel de Valldemossa takes special requests – add in the next step! 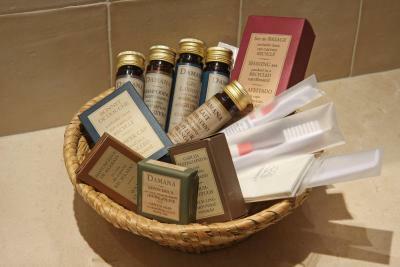 Es Petit Hotel de Valldemossa accepts these cards and reserves the right to temporarily hold an amount prior to arrival. 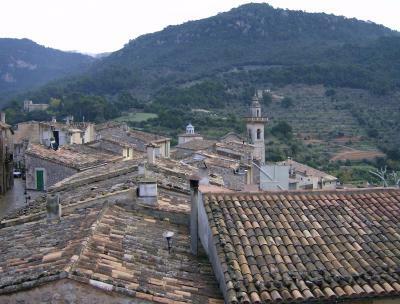 Please inform Es Petit Hotel de Valldemossa of your expected arrival time in advance. You can use the Special Requests box when booking, or contact the property directly using the contact details in your confirmation. We paid top dollar for the best room with a balcony. There was building work going on immediately outside our room. This ruined the view and was incredibly noisy through out the day. It meant we couldn't open the doors or sit on the balcony it also meant we couldn't have breakfast outside. I didn't like the pokey indoor breakfast room. 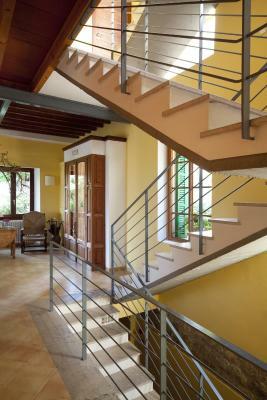 I didn't like the modern industrial staircase, it was horrible. I expected something old and grand in an old house. The staircase was noisy in the room we hear what was going on outside. The breakfast was ok. Location Fairly large room. The owner spoke several languages and was informative about the area. 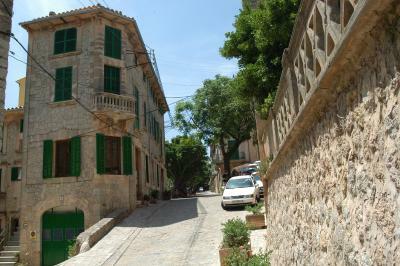 Nothing - Es Petit is truly a "pearl" in Valldemossa. 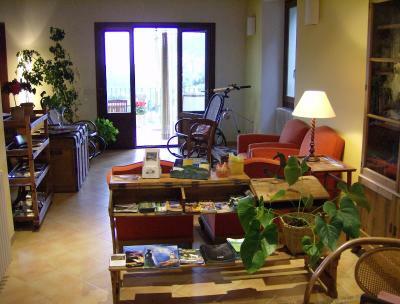 Family-atmosphere with very friendly staff and a well organised and cozy small hotel at central location in Valldemossa. Great room and very, very nice breakfast at the outdoor terrace. 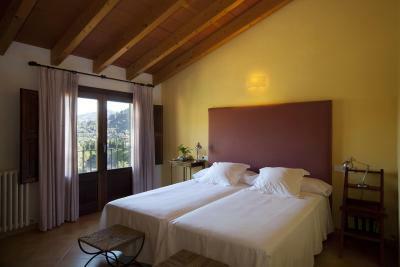 All in all a perfect one-night stay at our hiking tour through the mountains. Lovely room and bathroom. The breakfast was a nice continental breakfast with additional options on request. 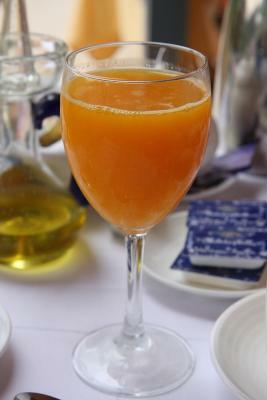 Lovely freshly squeezed orange juice! The hotel location was quiet but central and an ideal starting point for my GR221 walk. 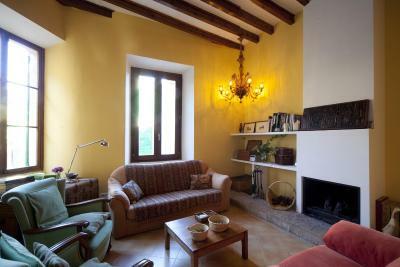 Perfect location, nice owner, if we came back to Valdemossa we will definitely stay here. The view was unbelievable, the hotel is so exclusive and special. The owners have achieved a high class service.